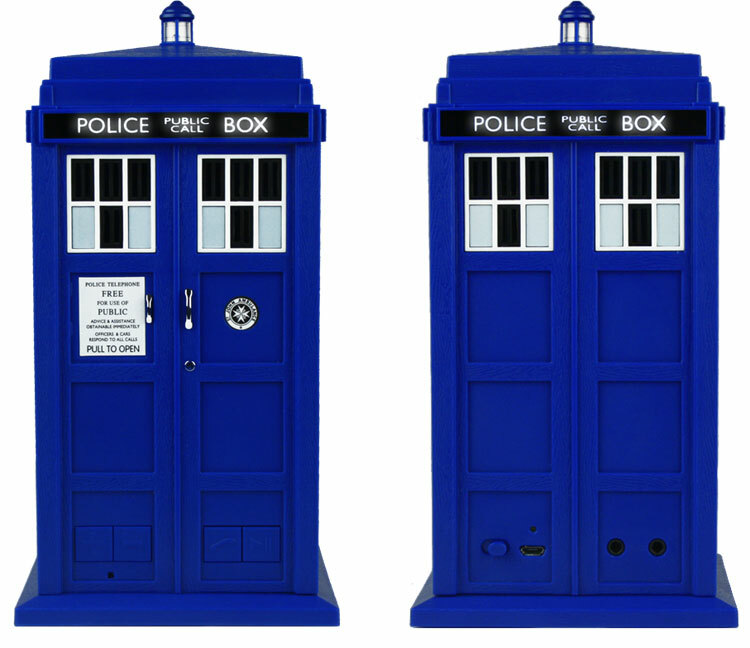 These collectable TARDIS and Dalek Bluetooth speakers will feature an out-of-this world sound experience along with exciting features such as built-in official fan favorite sound clips directly from the show and LED indicators that sound off and illuminate when different functions are activated. Fans will also be able to link multiple products together to create the ultimate surround sound experience. 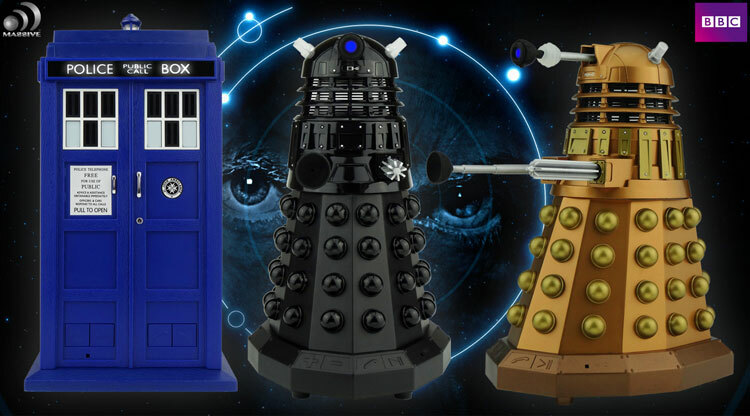 This will allow the ultra-fan to surround themselves with their own army of Bluetooth Dalek speakers that will rival even the Doctor’s own sonic prowess. With exceptional craftsmanship and sound quality, along with a hugely popular following of over 88 million fans, these speakers and headphones are sure to be a hit with millions of fans of every age and demographic. Antennae that flash with sound and get brighter with the volume. Appendages are removable and interchangeable. Assault Dalek comes with bonus syringe appendage. If you bought more than one could you Bluetooth all of the devices together to get surround sound?? 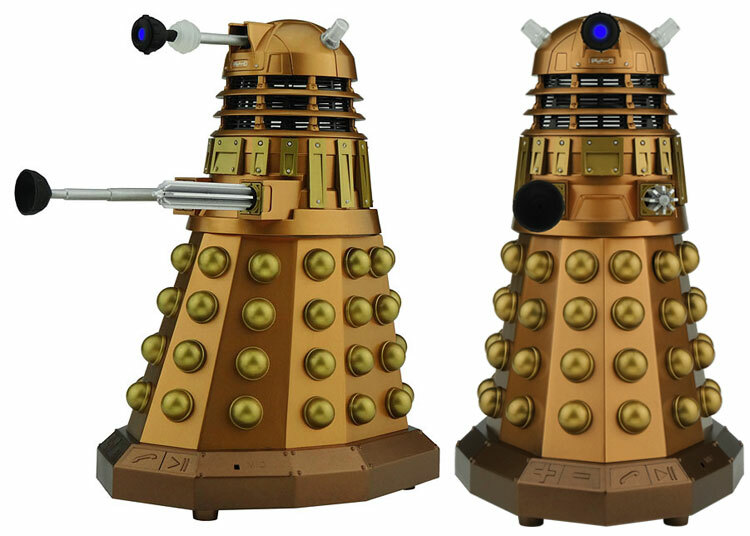 Yes… You can connect the 2 Daleks and get surround. Or the Daleks and Tardis make great sound! I thought they would have been bigger, 7.5 inch seems a little on the little side ?